Justseeds | Prints Gone Wild! Come join us Friday, Nov 7th for the eighth-ever annual printacular mega-hairy Brooklyn affordable print fair. A New York City Print Week tradition! 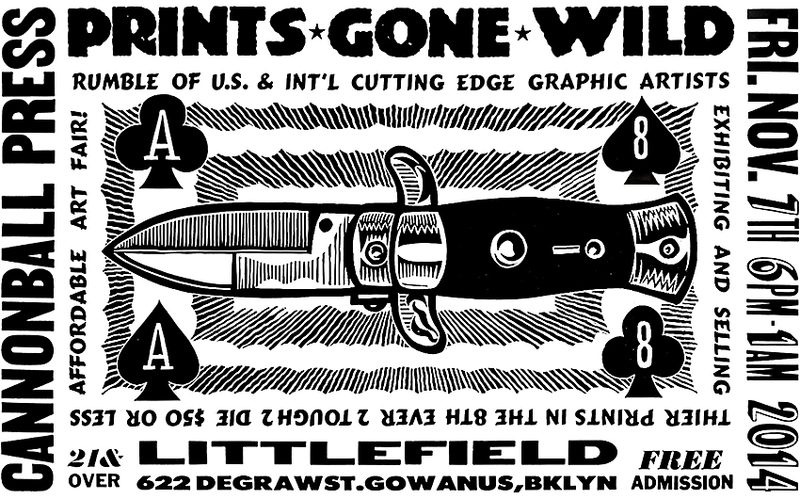 Brooklyn’s own legendary Cannonball Press has again assembled an extraordinary menagerie of graphic artists under one roof who will be present displaying and selling their prints for $50 or less for one night only at LITTLEFIELD NYC. One night only, 6pm – 1am.